– Why Are Prof. Sanjay Bakshi & Kenneth Andrade Bullish About This Micro Cap Stock? Ambika Cotton Mills is a micro-cap (Rs. 412 crore) stock that would have never come to our attention had it not been for the fact that ace stock pickers are buying truckloads of it. ValueQuest India Moat Fund Ltd is a name we are familiar with. In my piece on Poddar Developers, I have explained how Prof. Sanjay Bakshi is connected with the said fund. Yesterday, ValueQuest India Moat Fund scooped up 40000 shares of Ambika Cotton Mills at Rs. 699 each, laying out an investment of Rs. 2.79 crore. One of Ambika Cotton’s existing investors is Kenneth Andrade’s IDFC Equity Opportunity Fund which holds 3,96,000 shares. Interestingly, Eicher Goodearth Pvt Limited, the investment arm of Eicher Motors Ltd, also bought 45217 shares of Ambika Cotton yesterday. There is no better way to understand Ambika Cotton’s past, present and future than to read the blog post by Vijay Malik. The post is striking for its meticulous attention to detail and clarity of expression. After a comprehensive analysis of the financial, business, valuation and management parameters, Vijay Malik opines that Ambika Cotton provides “an opportunity of investing in a conservatively financed consistent growth story with healthy profitability margins at attractive prices”. He adds that Ambika Cotton “also offers a healthy margin of safety for its shareholders” and that it has a “competent management that believes in company’s future and cares about shareholder’s interests”. 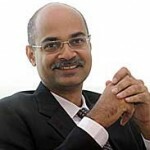 We must compliment Vijay Malik for his brilliant analysis of Ambika Cotton. He stands to make quite a hefty gain given that heavy-duty and savvy investors are now interested in the stock. Where can we find the portfolio of valuequest india moat fund? I could find the this fund in yesterday’s bulk deal list. But for other stocks which Sanjay Bakshi’s was bullish on like Ashiana housing, Kitex Garments, Thomas Cook etc. I don’t see “valuequest india moat fund” in the public shareholding list or in bulk deals. Any reasons? Joe sir it will be great favour if u provide the link to find out bulk deal in ambika cotton by valuequest india moat fund.i was unable to find bulk deal list. Mr. Arjun please guide us about educomp solutions. The stock is making mayhem on the Dalal Street. It is trading at 17.80 today. I can wait for another couple of years. Mr Joe , Paresh Thakker and Sanjay Bakshi are the persons behind investment decissions of ValueQuest India Moat Fund.As per my findings the made two recent bulk deals one in poddar and other in Ambika cotton.However they may have other holdings too (may be there investment is less than 1% it will not be discloused in public share holding). Coming to your question But for other stocks which Sanjay Bakshi’s was bullish on like Ashiana housing, Kitex Garments, Thomas Cook etc. I don’t see “valuequest india moat fund” in the public shareholding list or in bulk deals. Any reasons? 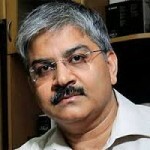 Answer: Prof Sanjay Bakshi in his publicly disclosed statements made through his blog “Fundoo Professor” and also in his website sanjaybakshi.net has made disclaimers that he hold the above mentioned stocks apart from that he also had vested interests in Shriram transport finace,Vibhav global etcc. What I have observed is that he normally speaks about his holding only after it moves up. With my all heart I congratulate Mr Arjun for providing all the in formations of almost all ace stock pickers India has ever seen. Agree with both of you. All these great investors are playing a game with followers. Some are smart and they do their home work and somehow get a knack of valuation. Otherwise lesser mortals like us follow the herd. We don’t know when they sell. We don’t know how much insider information they have. So be aware. Simply following anyone is dangerous. My gut-feeling says Bakshi must have started investing from 400 levels where it consolidating largely…we only came to know after scooping 1% holding.. Thanks for the appreciation & the compliments! Today has been a good day for the portfolio, courtesy Ambika. All the best for your stock investing journey! Congrates vijay sir,sir it will be great favour if u provide the link to find out bulk deal in ambika cotton by valuequest india moat fund.i was unable to find bulk deal list. thanks a ton Ayesha Kapadia mam. Which recommends stocks and stock related news. 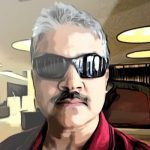 Please suggest websites/blogs which recommend shares on fundamental analysis like DRVIJAYMALIK.COM.It would be very useful for long term retail investors and beginners. Fundoo Professor behaving more like a Puntoo Professor.